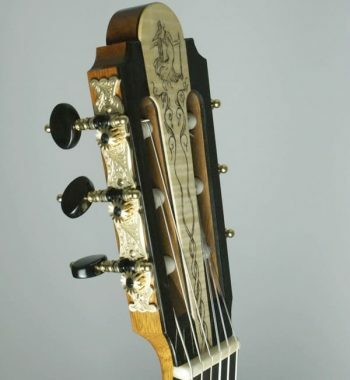 2 guitars by Jean Luc Joie (Bordeaux – France). 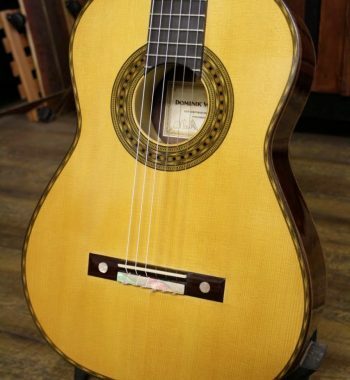 This is his highest model with the unique 'non bracing soundboard'. 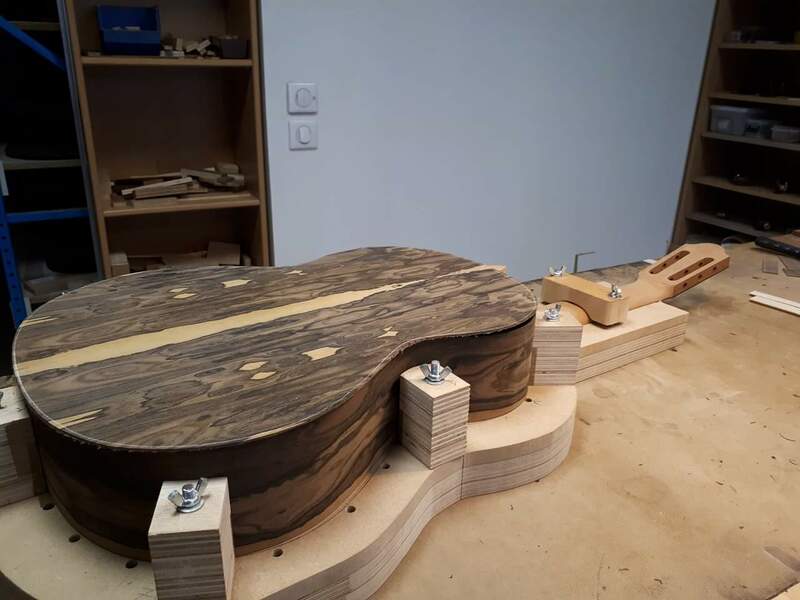 A soundboard without any brace! 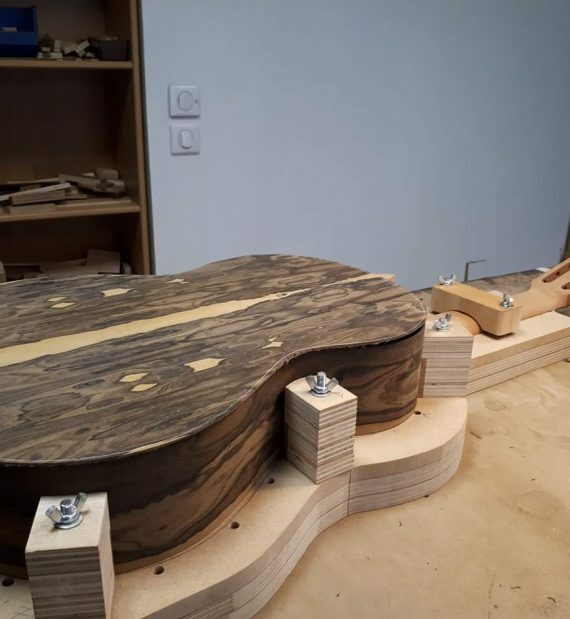 His signature construction technique creates a guitar that have a power close to Australian lattice guitars, but with sweet traditional tone color – enough to make Thibault Cauvin switch from his Greg Smallman to a Jean-Luc Joie guitar.. 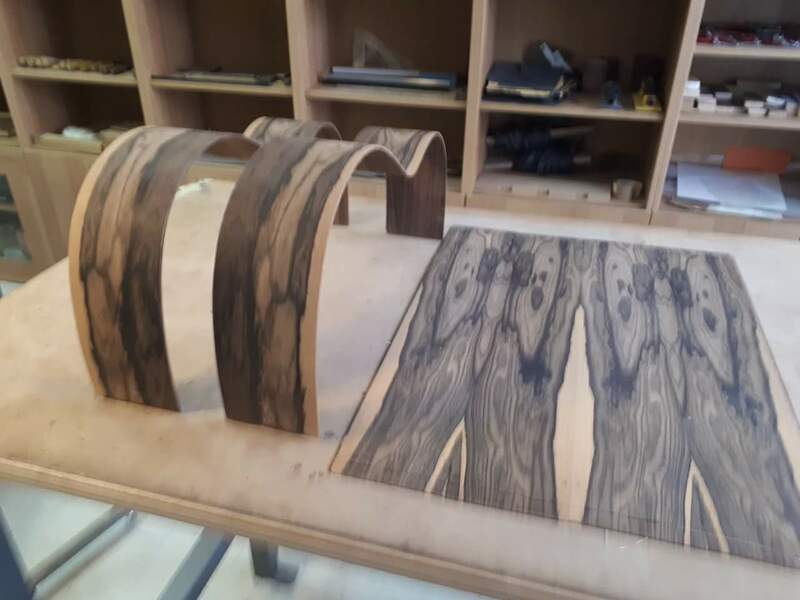 These 2 guitars will be built using 2 sets of Ziricote body and cedar top. 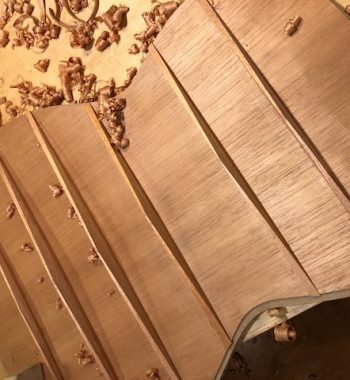 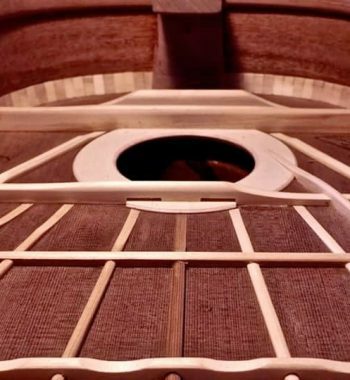 The body will utilize a triple layer construction : Ziricote – spanish cedar – Indian rosewood , in aim to create the body as rigid as possible and maximizing soundboard vibration.